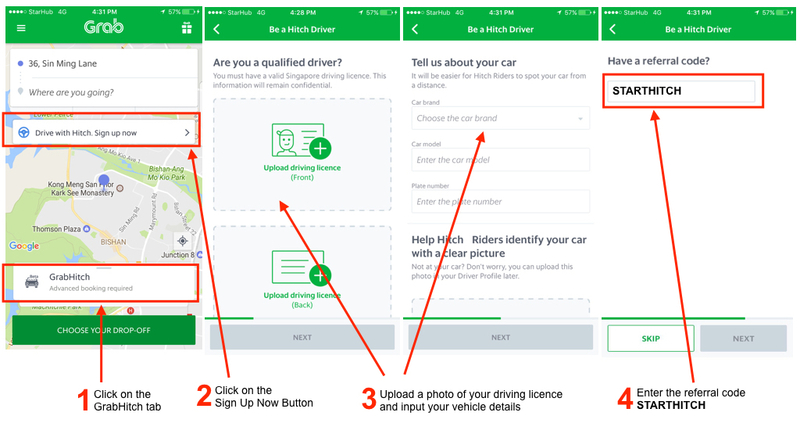 Drive with GrabHitch: Sign up in just 5 minutes! 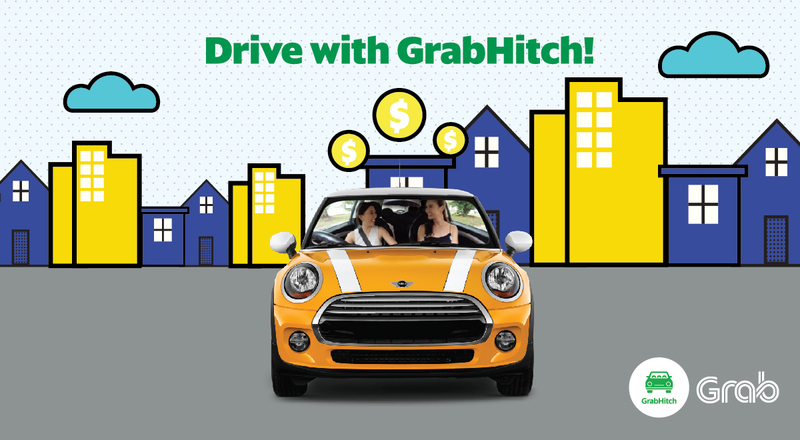 Use referral code ‘STARTHITCH‘ and get an additional $20 sign up bonus after you complete your first GrabHitch ride as a Hitch driver! This incentive is only eligible for new drivers who sign up and successfully complete 1 Hitch ride as a driver between 22 November 2017 @ 00:00 hours – 31 December 2017 @ 23:59 hours. New drivers must sign up with the referral code STARTHITCH in order to qualify for the $20 credit incentive. The processing of the $20 credit into your GrabHitch driver wallet will only be conducted after the incentive period has ended (post-31 December 2017). Have questions? Email us at support.sg@grab.com with subject “STARTHITCH” and we will get back to you in 2-3 business days.